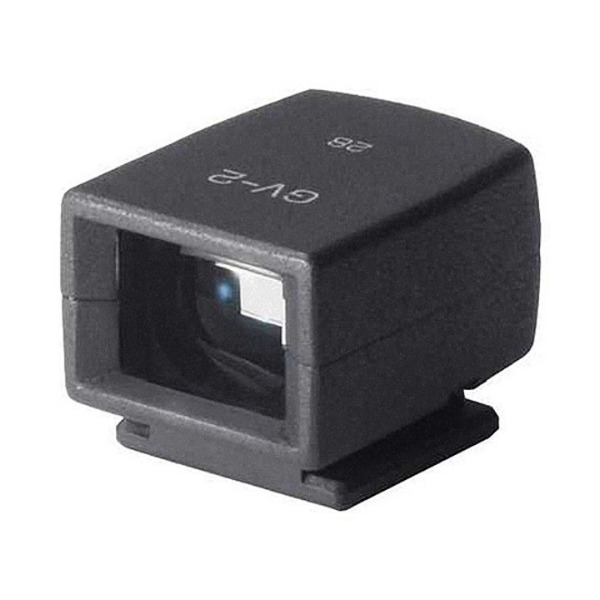 The Ricoh GV-2 Mini External Viewfinder is designed for the Ricoh GXR camera system, including the GR Digital Camera. The GV-2 attaches to the camera body via the hot shoe, and when not in use stores nicely in the included case. Highlights of the GV-2 include a 28mm frame and 1:1 aspect ratio marks.